BEST SUITED FOR UNDER-THEROOF MAINTENANCE AND PRODUCTION APPLICATIONS. 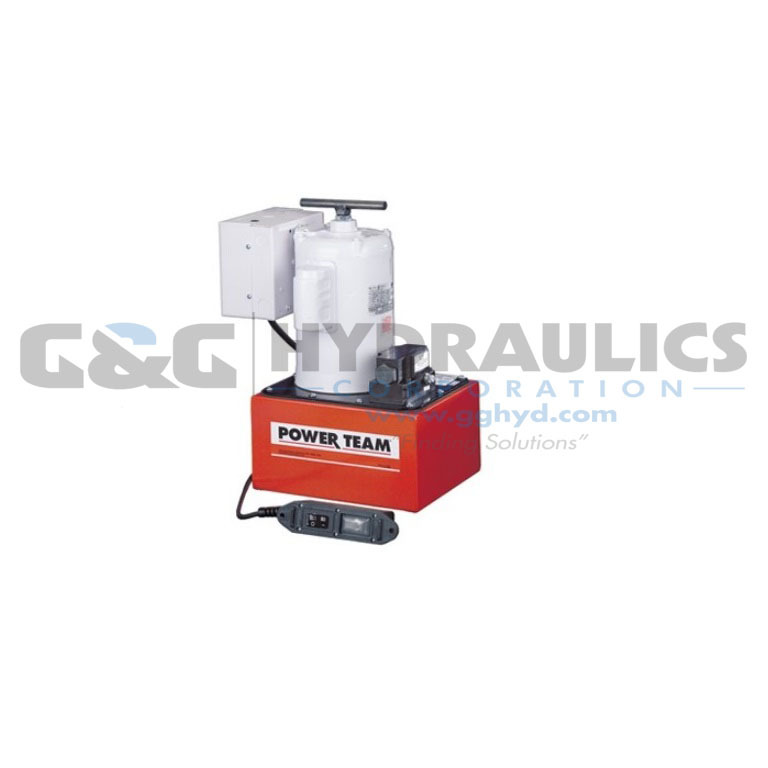 For use with single- or double-acting cylinders at operating pressures to 10,000 psi. Equipped with a 1 1⁄2 hp, 3,450 rpm singlephase, 60 Hz thermal protected induction motor that starts under full load. Noise level of 77-81 dBA. All equipped with a 10 foot remote control except PE462S which has a 25 foot remote control. 24 volt control circuit on all units with remote control. * Available with 220 V., 50 Hz motor (to order, place suffix “50-220” behind pump order number). Specify voltage when ordering. ** “Advance” position holds pressure with motor shut off. *** Usable oil is calculated with the oil fill at the recommended level of 1/2" below reservoir cover plate. † “Advance” position holds pressure with motor shut off. “Return” position returns cylinder. †† 115 volt, 60 Hz. ††† The remote motor control switch on PE46 series pumps is 24 volt. * Measured at 3 ft. distance, all sides. ** Requires 20 amp circuit. † Typical delivery. Actual flow will vary with field conditions.